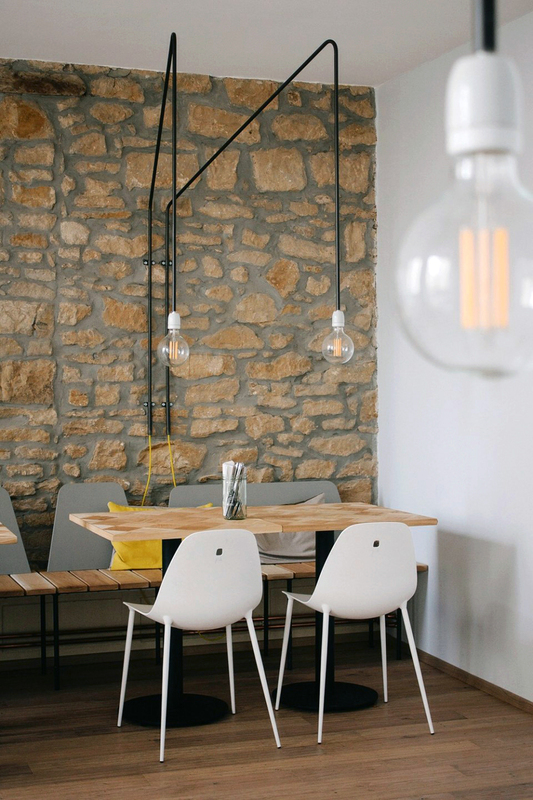 Beet is a vegetarian restaurant in Luxembourg for which we developed a simple and pure interior concept. 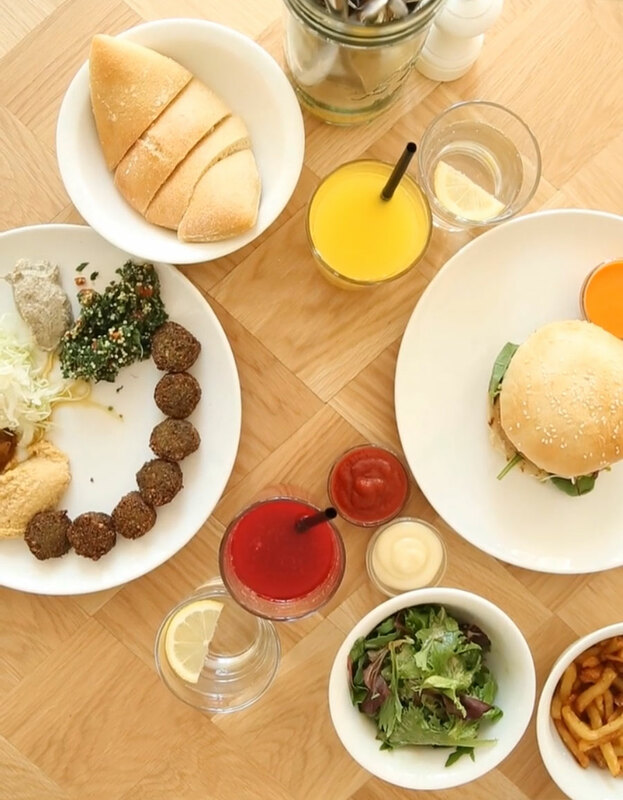 Center stage is reserved for the delicious burger and falafel dishes! A combination of given space elements with our own designs (tabletops, benches, stools, lamps, pillows) and a selection of purchased pieces to form a mix of old and new objects and materials. The aim: to create a space which simultaneously communicates the cosyness of a simple interior and the fresh, outdoor feeling of a garden.